Justice Steven Kavuma has been appointed Acting Deputy Chief Justice. 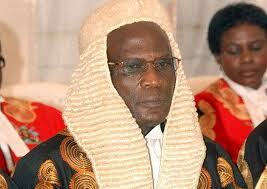 He replaces Justice Constance Byamugisha who died this morning. This has been confirmed by the judiciary spokesperson Erias Kisawuzi. He says Justice Kavuma was appointed on Monday this week after Byamugisha’s health condition deteriorated. He says the death of Byamugisha is a big blow to the judiciary especially the Constitutional Court which has been directly affected. He says business at the court has already been disrupted due to lack of quorum. The court is meant to have a panel of 6 judges but with one dead and another in critical condition, business is bound to be paralysed. Byamugisha’s death comes at a time when Justice Amos Twinomujuni is also fighting for his life at Kampala Hospital. Meanwhile, the judiciary has released the official funeral program for fallen judge Constance Byamugisha. According to the Erias Kisauzi, a requiem service will be held in her honor tomorrow at 10:00am at All Saints Cathedral Nakasero. The body will then be taken to the deceased’s home in Kabale ahead of burial slated for Sunday. Justice Byamugisha is said to have succumbed to breast cancer at Nakasero Hospital this morning and her body has been transferred to Case Clinic where it still lies. At the time of her death she was the Acting Deputy Chief Justice. She was also Constitutional Court and Court of Appeal Judge. She is a sister to departed former First Deputy Prime Minister, Eriya Kategaya who also passed away barely a month ago.